RURALCO Holdings has today announced record second half and full year earnings for the 12 months to September 30, 2017, headlined by a 95 percent rise in net profit after tax to $26.2 million. The publicly-listed agribusiness says the record result reflects significant organic growth in its core traditional rural supplies and agency services businesses. Ruralco has also declared a final fully franked dividend of 6 cents per share with a record date of 27 November 2017, payable to shareholders on 18 December 2017. 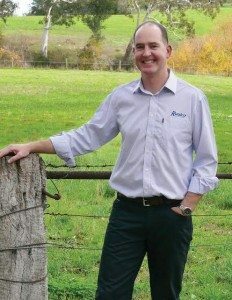 Ruralco has a network of 40 specialist rural supply, finance, insurance, grain and water service businesses operating across its network, with brands including CRT, Rodwells, Roberts Ltd, Primaries, BGA Agriservices, Grant Daniel & Long, Territory Rural and live exporter Frontier International. Ruralco has over 500 outlets across Australia and has added 24 new points of presence in the past 12 months. Ruralco CEO & Managing Director Travis Dillon said the integration of new business acquisitions added necessary scale, as well as regional and operational diversity to the network, which helped to bolster the full year result. “The integration of the 24 new points of presence is well progressed, the new businesses are performing in line with expectations. “I am pleased our core traditional businesses have again delivered strong organic growth and there has been a positive turnaround in live export and water retail sales”, Mr Dillon said. 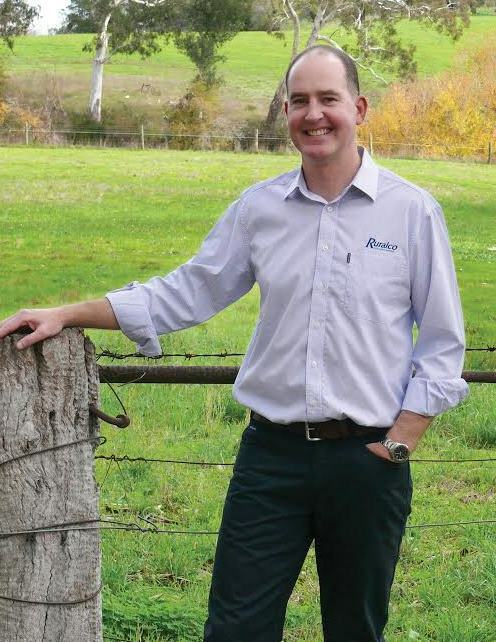 Ruralco said strong seasonal conditions, particularly in Tasmania and the Eastern states, had led to significant sales growth in its rural supplies business. Continued above average livestock and wool prices and an increase in real estate sales volumes have also bolstered the strong performance. The $87.9million EBITDA of this division includes $1.2million from acquisitions. A full year’s contribution from its new acquisitions and an ongoing focus on driving cost base efficiency is expected to offset the impact of a forecast decline in cattle prices and deliver continued, albeit moderate, growth in FY18. Sales have grown in the restructured water retail business, particularly over the last quarter. “This pleasing turnaround was offset by tight market conditions in specific geographies, primarily the West Australian residential development market, and a below average temporary water price for most of the year that combined to restrict growth in the underlying business,” Ruralco’s statement to the ASX this morning said. The Water Services EBITDA of $13.1 million includes $4.8million from acquisitions. “Management has focused on ensuring the cost base of the existing business is right-sized to account for adverse market conditions. “A key focus for FY18 is on optimising overall operational and financial performance to deliver targeted strong growth in earnings with a healthy project pipeline already in evidence. Despite challenging market conditions in the live export industry this year, Ruralco said its live export division Frontier International had returned to profit ($2.2 million EBITDA. “This result reflects the benefits of the restructure undertaken in FY16 and the new backgrounding program that has provided the business with flexibility. “The division continues to focus on compliance and driving a culture of continuous improvement. Improvement in the earnings of this division has come from growth in the seasonal finance book, a stronger result from the share of profits from the grain marketing JV, Agfarm and the new insurance joint venture with Ausure. Ongoing momentum is expected to come from further growth of the seasonal finance book, take-up of the new Flexi Finance low-doc livestock and equipment financing product and the annualised earnings contribution from the Ausure JV with further expansion opportunities identified for that business. Ruralco said its rollout of a new IT system, Program Elevate is on time and on budget with a $10.2million spend in the year. A focus in the first half of the 2018 financial year will be on the ‘go-live’ of a significantly enhanced online sales ordering platform for CRT members called RuralcoNet and the development of an improved point of sale solution and customer portal. “These projects will enable Ruralco’s growth aspirations and deliver digital transformation based on a reliable back office foundation integrated with a scalable e-commerce platform,” Mr Dillon said. “Farmers today face increasing complexity of choice. Tomorrow’s farmers will deal with more technologies and services than ever before, they need simplicity and want integrated solutions. “We are identifying practical solutions that farmers want through our partnerships with key R&D and industry bodies such as the CSIRO and Meat and Livestock Australia. We are connecting our customers to the latest technology and innovation in agriculture through our technology partnerships with SproutX and PrecisionHawk”, Mr Dillon said. Ruralco said good rainfall across the eastern states in September and early October should support positive rural supplies sales over the next few months. “The decline in cattle prices over the last quarter is indicative of a return to historically average prices. Short term price movements will be largely influenced by seasonal conditions.